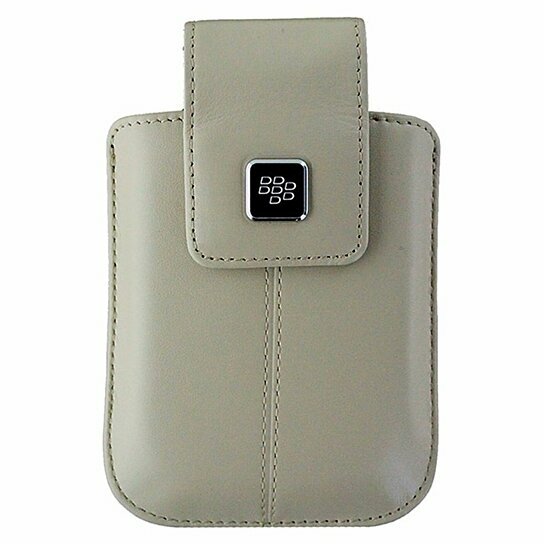 BlackBerry Vertical Pouch Case made for BlackBerry 9530 and 9500 series. Tan leather like finish. Magnetic Closure. Wrist Strap included.